Builders Systems Inc. is a general contracting and development firm founded in 1974. Since that time our firm has successfully completed a wide range of construction projects across the Northeast. Our projects include: office buildings, fiber optic facilities, charitable organizations, recreational facilities, and more. At Builders Systems Inc. we owe a lot of our success to repeat business. We give each and every one of our clients top-quality service to assure their satisfaction and give them a reason to look forward to doing business with us again. This includes providing a timely response, cost effectiveness, and a quality performance. 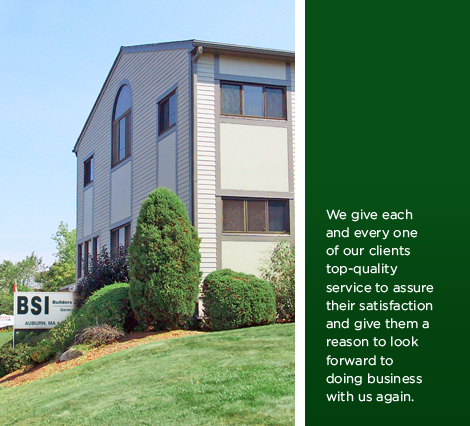 We maintain corporate excellence through the dedication and hard work of the Builders Systems team. Our talented and experienced staff makes sure that every project is a tremendous success.